No. 2 Michigan vs. No. 3 Notre Dame, 4:30 p.m. CT, ESPNU. It's time for "one and done" and "win or go home". It's time for "season's over" and "survive and advance". 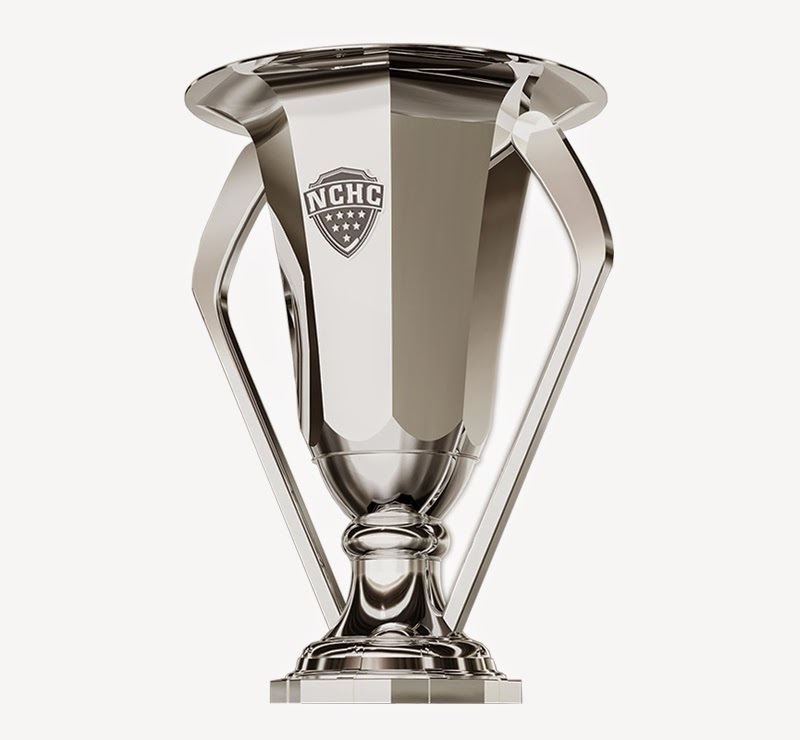 For the 16 teams left across the men's hockey landscape, including the four in Cincinnati's Midwest Regional, it's time for the Big Dance and for each team's chance at the one prize all 60 teams vie for at the beginning of the season -- a national championship. Take a deep breath. It's time for the NCAA tournament. It's UND vs. Northeastern and Michigan vs. Notre Dame in the first round. The two winners advance to the regional title game for a chance to skate to Amalie Arena in Tampa for the Frozen Four. The Green and White are the only team from last year's tournament that are playing this weekend in Cincinnati. UND has advanced to back-to-back Frozen Fours, but are looking to break through with a national championship for the first time since 2000. The Green and White are familiar with U.S. Bank Arena, winning the Midwest Regional there in 2014. Here's DDC's "Who? What? How?" breakdown of what will be a terrific weekend in The Queen City. Who will punch their ticket to Tampa? Jr. F, Zach Aston-Reese, 14 goals, 29 assists -- 43 points; So. F, Nolan Stevens, 19g, 22a -- 41 pts; Sr. F, Kevin Roy, 10g, 15a -- 25 pts; So. D, Garret Cockerill, 8g, 13a -- 21 pts; Fr. G., Ryan Ruck, 20-10-4, 2.26 goals against average, .912 save percentage. Fr. 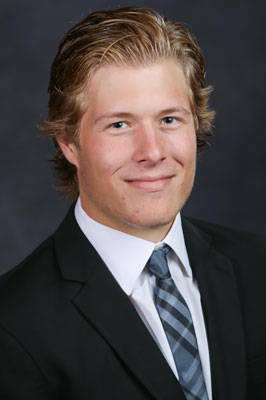 F, Brock Boeser, 25g (2nd in NCAA in rookie goals, 4th overall in NCAA), 26a -- 51 pts (2nd in NCAA in rookie scoring, 8th overall); Sr. F, Drake Caggiula, 19g (T-3rd in NCAA in game-winning goals with 7), 25a -- 44 pts; So. F, Nick Schmaltz, 10g, 32a (3rd in NCAA in assists per game with .97) -- 42 pts; Jr. D, Troy Stecher, 8g, 19a -- 27 pts; Mike Richter Award Finalist So. G, Cam Johnson, 20-4-2 (2nd in NCAA in win percentage), 1.64 GAA (2nd in NCAA), .935 SV PCT (T-3 in NCAA). So. 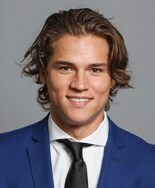 F, Anders Bjork, 11g, 22a -- 33 points; So. F, Jake Evans, 8g, 25a -- 33 pts; Sr. F, Thomas DiPauli, 13g, 18a -- 31 pts; Sr. F, Mario Lucia, 12g, 12a -- 24 pts; So. D, Jordan Gross, 9g, 22a -- 31 pts; So. G., Cal Petersen, 19-10-7, 2.19 GAA, .928 SV PCT. Fr. F, Kyle Connor, 35g, 34a -- 69 pts; (Hobey Baker Finalist, No. 1 in NCAA in goals, points, 2nd in power play goals (10) and 4th in assists), Jr. F, JT Compher, 14g, 46a -- 60 pts (Hobey Baker Finalist, No. 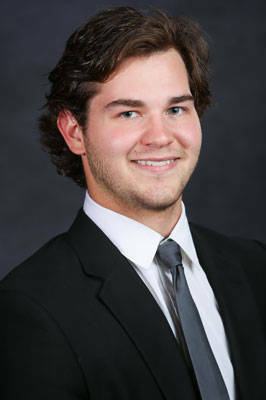 1 in NCAA in assists, 2nd in points); Jr. F, Tyler Motte, 31g, 23a -- 54 pts (Hobey Baker Finalist, 2nd in NCAA in goals); So. 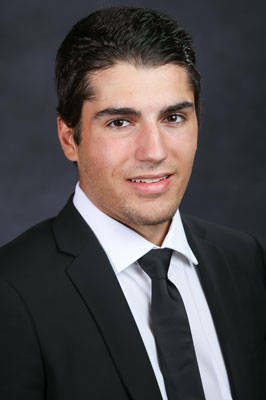 D, Zach Werenski, 10g, 24a -- 34 pts; Sr. G, Steve Racine, 19-5-3, 2.89 GAA, .913 SV PCT. The Green and White own the NCAA's third-best scoring defense allowing just 1.85 goals per game and has the NCAA's eighth-best scoring attack with a 3.55 goals per game average. Drake Caggiula leads the country with a +39 while linemates Nick Schmaltz and Brock Boeser are tied for fourth at +35. Caggiula is tied for third in the NCAA with seven game-winning goals. North Dakota is 23-0-3 when leading after two periods and has not lost a game when leading after two in an astounding 70 straight games. The Huskies are 12th in the NCAA with 3.30 goals per game and 20th in goals allowed at 2.48. Northeastern's power play is 7th in the NCAA, converting 23.5% of their opportunities while their penalty kill has struggled, stopping just 79.4% of opponents chances, which is tied for 46th in the country. The Huskies are a stalwart 19-2-0 when leading after two periods on the year, but are a paltry 1-10-4 when trailing after two. The Fighting Irish are 15th in the NCAA in goals per game (2.31), 14th in goals against (2.31), 10th in power play (21.3%) and 20th in penalty kill (83.7%). Notre Dame has lost five of their last six games and scored just 11 goals in those six. The Irish are 18-4-5 when scoring first, but just 1-6-2 when allowing the game's first goal. Michigan's explosive offense leads the NCAA in goals per game (4.89) and power play (31.8%). However, they are a below average defensive team, allowing 3.00 goals per game (30th in NCAA) and killing just 79.8% of their opponents power plays (45th in NCAA). The Wolverine's vaunted trio of Hobey Baker Finalists, the CCM line of Kyle Connor, JT Compher and Tyler Motte are first, second and fourth nationally in points. Michigan is a +50 in the third period this season and are 17-1-0 when leading after two periods. No. 3 UND (30-6-4) lost to Minnesota Duluth 4-2 and tied Denver 1-1 in the NCHC Frozen Faceoff. The Green and White are 8-1-1 in their last 10 games. The Green and White are in the NCAA tournament for the 14th-straight season, the best current mark and second best streak all time. No. 9 Northeastern (22-13-5) won the Hockey East Championship with wins over UMass-Lowell and Boston College. In the NCAA tournament for the first time since 2009, the Huskies are 20-1-2 in their last 23 games after starting the season 1-11-2. No. 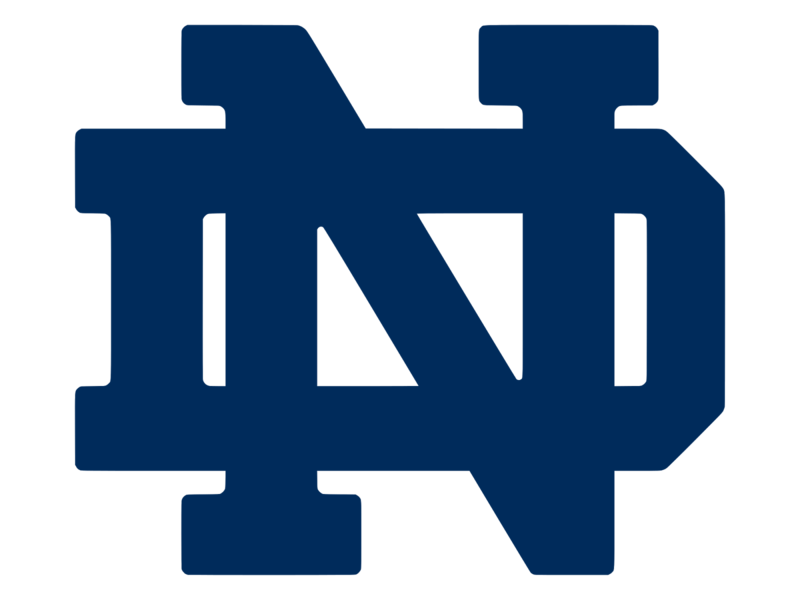 13 Notre Dame (19-10-7) were swept by Northeastern 3-1, 6-4 in the Hockey East quarterfinals. The Fighting Irish have lost 5 out of their last 6 games. The Fighting Irish are back in the NCAA tournament after missing last season for the first time since 2012. No. 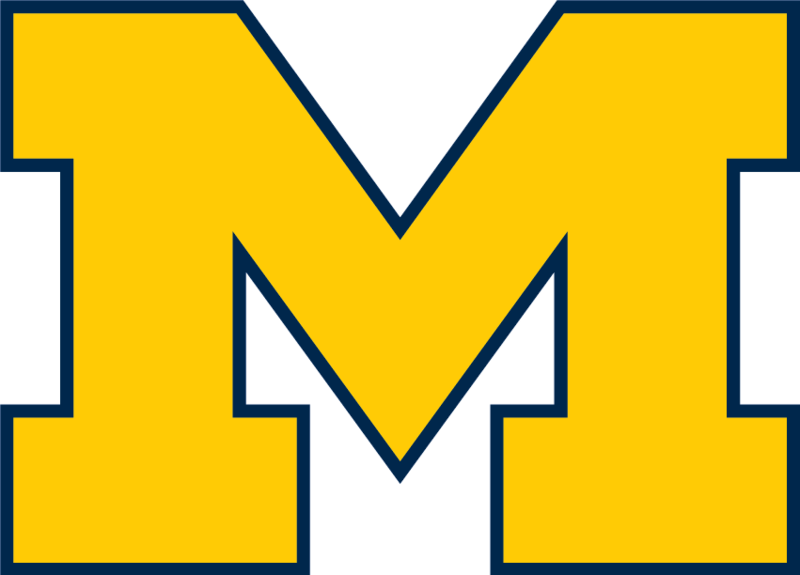 5 Michigan (24-7-5) beat Penn State 7-2 and Minnesota 5-3 to win the Big 10 tournament. The Wolverines have won four-in-a-row after dropping three straight. The Wolverines are back in the NCAA's for the first time since 2012. Before then, Michigan had made 22 straight tournaments, most all time. So now that you're all caught up on the ins and outs of these four teams, let's get right to it. a 1.85 goals per game mark. It's pretty crazy to think that a team who has lost just six times all season has been lauded by many as an underdog coming into the NCAA tournament. While UND spent the season piling up wins, going 30-6-4 on the year, they are surely not nearly as hot as the Huskies coming into this weekend. If you're at all plugged into the college hockey world, you've no doubt heard all about Northeastern's incredible stretch run. After starting the season 1-11-2, the Huskies have rolled, going 21-2-3 the rest of the way, including an active 13-game winning streak and a Hockey East tournament championship. Stripping all the hype away from this one, this game should be a fantastic start to the tournament. These two teams play with pace and are both explosive offensively. However, this isn't the regular season, the Frozen Faceoff, nor the HEA championship. This is the NCAA tournament and defense usually decides these games. DDC has heard all the stats from the NU side about how great they are offensively, but the consistent thought has surrounded the Huskies defensive corps. All season long, UND's back end has been nothing short of tough to beat. Sure, they've had their ups and downs, but defensively, the Green and White are as good as anyone in the NCAA. This is where UND makes its hay. Sophomore goaltender Cam Johnson does it again, slows the hottest team in the country and moves the Green and White to the regional finals. The Fighting Irish are arguably the coldest team entering the NCAA tournament, dropping five of their last six games after being swept by Northeastern in the first round of the Hockey East tournament two weekends ago. This is a bad development for Notre Dame as they face the nation's best offensive team in Michigan, who are led by the Hobey Baker Trio CCM line of Kyle Connor, JT Compher and Tyler Motte. The Wolverines are not a good defensive team, but they score too much to be slowed against an only decent Irish defense. Michigan rolls into Saturday night. MICHIGAN BEATS THE IRISH, 6-3. Kyle Connor in freshman goals. The college hockey world is salivating. It's Big Blue vs. the Green and White. It's nine national titles vs. seven. It's the CCM line vs. the CBS line. It's North Dakota vs. Michigan for the chance to advance to the Frozen Four. These two teams can light it up and the pace in this game will be tremendous. However, Michigan's defense is a huge chink in this team's armor. The Wolverines are allowing 3.00 goals per game on the season and UND has lost only twice this season when scoring at least three. Simply put, Michigan has not seen a team this season that can play shutdown defense and despite their eye-popping numbers, they have yet to play a team like North Dakota that can score with them and play tough defense. DDC expects a huge effort from the Green and White as they slow the CCM line, while the CBS line finds time and space to bury chances against a below average defense. Watch Brock Boeser in this one. His electric shot will devastate Michigan goaltender Steve Racine. For the third-straight season, the Green and White move on to the Frozen Four. UND TAKES DOWN THE WOLVERINES, 6-3. It's time to exhale. Check back later to see if UND can keep it's season alive in their run for green banner No. 8.
on Saturday at the Target Center in Minneapolis. DDC did it again. It was UND vs. Denver and St. 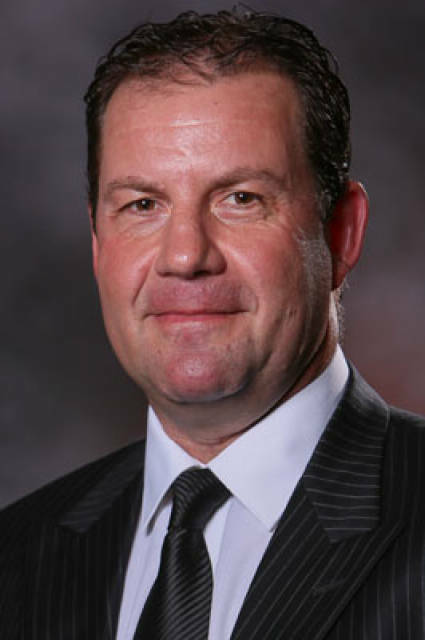 Cloud State vs. Minnesota Duluth on Saturday at the Frozen Faceoff. Wait... so you're telling me DDC went 0-3-1 this weekend in his picks? Much to UND and the DDC's chagrin, the Green and White again struggled at the NCHC Frozen Faceoff in Minneapolis dropping a 4-2 decision to UMD on Friday afternoon and playing to a 1-1 tie on Saturday against Denver, moving to 1-4-1 in three years of the tournament. St. Cloud State topped Denver 4-2 in the other semifinal on Friday and capitalized on their chances in the Finals en route to a 3-1 win over the Bulldogs despite being outshot 34-18. 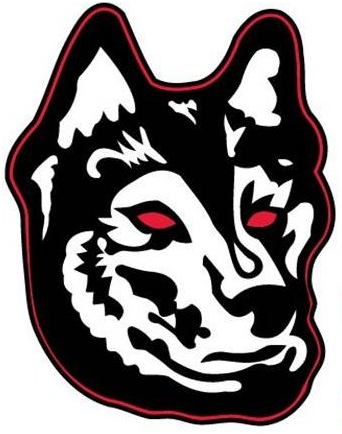 The two sets of Dogs had their days as SCSU won the NCHC Frozen Faceoff Championship Trophy and UMD, despite the loss in the final, punched a ticket to the NCAA tournament. Here's what stood to the DDC in the Frozen Faceoff version of Roses and Thorns. and White goals this weekend. It's hard to be rosy when talking about UND's play this weekend as the Green and White didn't do much all weekend to keep the partisan Green clad crowd happy. However, it certainly started well. Just 49 seconds into Friday's game, the CBS flashed its scoring touch, as Nick Schmaltz buried a one-time feed on a nice drop pass from Drake Caggiula. It was a hot start for UND's electric line and this bodes well going forward. While the results didn't continue, it was good to see this line get a big goal early. Schmaltz scored two of three UND goals on the weekend and now has a five-game goal scoring streak heading into the national tournament. Harnessing that kind of play will be absolutely essential for the Green and White in the NCAAs. DDC had the pleasure of attending the Frozen Faceoff with Mrs. DDC and several of his closest friends and despite the results, he genuinely enjoyed his time this weekend. The Pourhouse again hosted a fun and raucous UND gathering and that energy moved across the street to the Target Center. 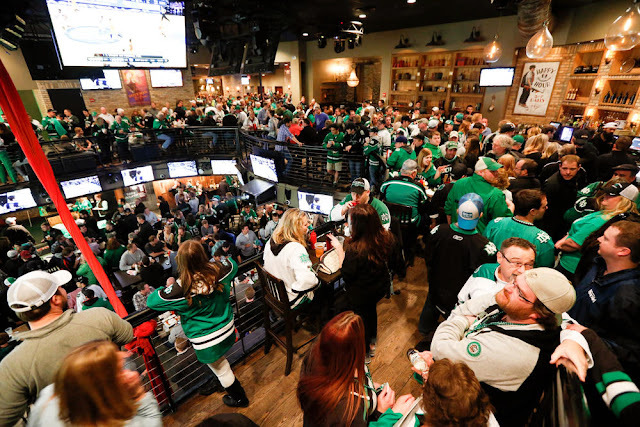 For the 14th-straight season, North Dakota fans ascended on the Twin Cities and brought their passion and lively attitude and it made the Frozen Faceoff an amazing weekend, once again. Cheers to the fans. The NCHC, the city of Minneapolis and surrounding establishments, DDC is sure, also gives you all thanks. Up 1-0 with the seconds ticking down in the first period on Friday's game against Minnesota Duluth, UND missed out on an apparent goal late in the period when officials decided not to review a shot by Tucker Poolman that may have been stopped by UMD netminder Kasimir Kaskisuo behind the goal line. UND bench boss Brad Berry explained that he decided not to challenge the call for fear of losing his timeout early in the game. “We tossed it around a little bit,” Berry said. “From our side, it looked like the pad got stuck out. We looked at it after the period and it looked pretty inconclusive to me. When you only have one timeout, you have to be very selective of when you use it. Asking all of the coaches on the bench, we decided not to take it. I thought it was inconclusive.” This could have made a big difference as Duluth took over in the second, but we will never know. In both games, UND squandered leads and in both nights, the Green and White had their chances to extended leads, but failed to do so. Whether it was the decision to not challenge Poolman's close attempt against Minnesota Duluth or hitting several pipes and missing open nets against Denver, UND will need to remedy these missed opportunities immediately as it's one-and-done time starting on Friday in the NCAA tournament. Fans of the Green and White can take solace that their team had chances to make plays in the Frozen Faceoff, but these cannot be misses anymore. Duluth did a tremendous job on Friday in limiting UND's time and space. This cannot happen starting on Friday. The players must bear down and bury. Simple as that. Another Frozen Faceoff, another disappointing weekend for UND. 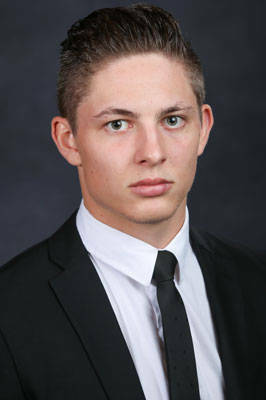 UND Jr. D, Troy Stecher. Whatever the reasons, the Green and White are mired in a paltry 1-4-1 record at the Target Center with the loss and tie this weekend. However, UND fans can take heart as they aren't playing in Minneapolis for the NCAA tournament. "I can't point to one thing why we're losing here," UND defenseman Troy Stecher said after Friday's loss to UMD. "But it's better to lose now than next weekend in my mind." Thanks again for reading. 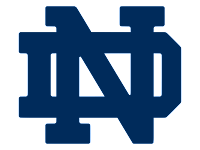 Check back on Friday morning for DDC's preview of the Midwest Regional as UND takes on red hot Northeastern and Notre Dame battles Michigan.